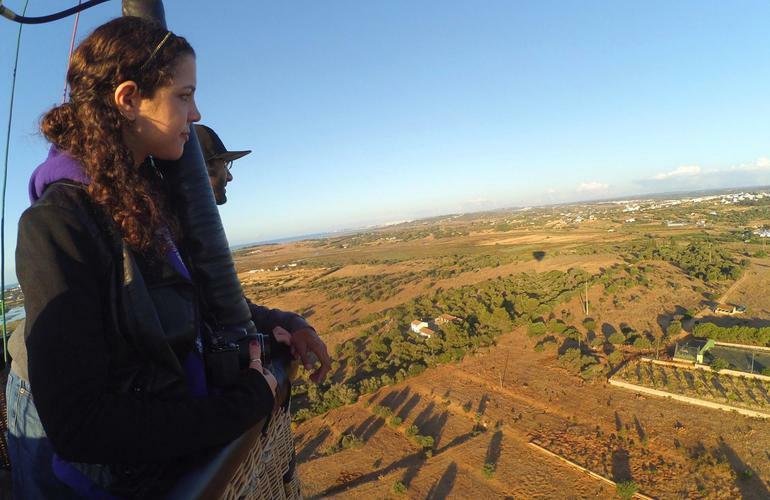 Experience a hot air balloon ride over the valleys of western Algarve or over the rolling hills of the Baixo Alentejo near Lagos with Algarve Balloons. 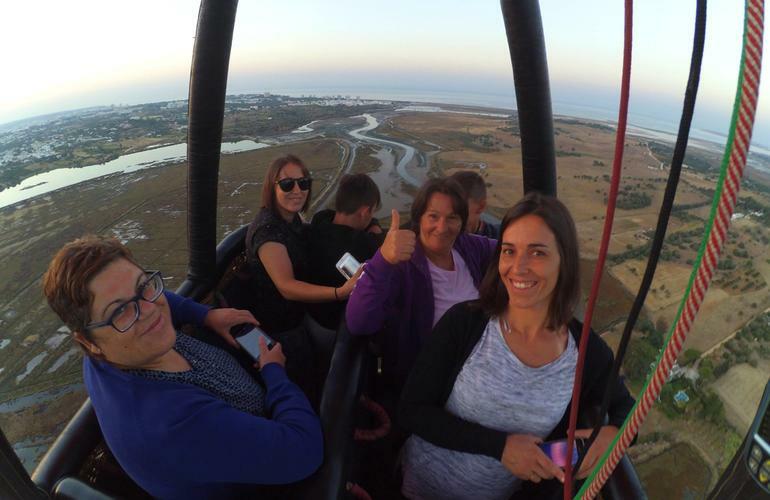 - Take-off: You meet Algarve Balloons' team at the take-off site where you are invited to participate in the preparations for the launch (balloon inflation). 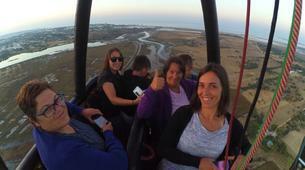 The pilot will explain you all the safety procedures before taking off. 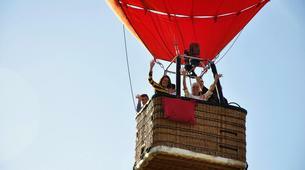 Once the balloon is heated and inflated, you go into the basket for an unforgettable trip in the sky. 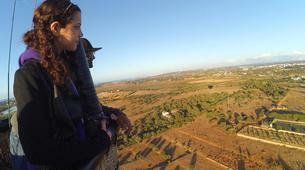 - Flight: Once airborne, you can relax and enjoy the landscapes below your feet. The flight takes approx. 1 hour with an average distance of 5 to 20 km. 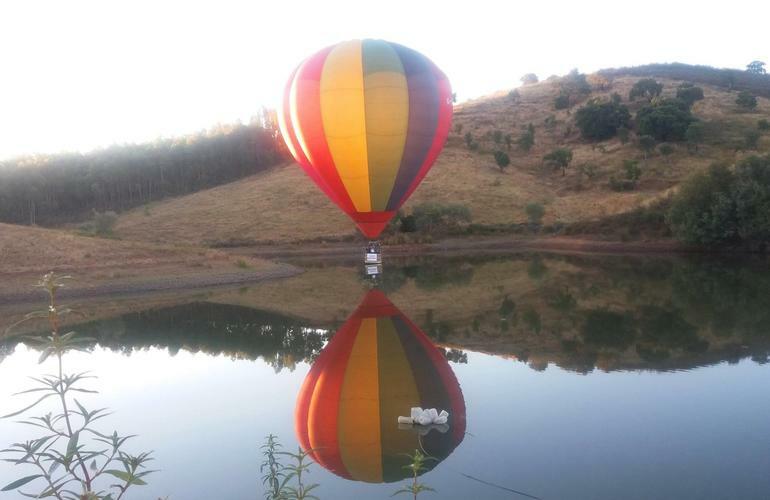 The height always depends on the pilot to comply with local aviation procedures, but it generally varies between 500 ft and 3000 ft above ground level. Don't forget to bring your camera to capture this unique moment! 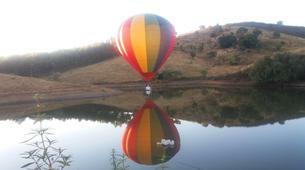 - Landing: The landing can be exciting and fun as you never know where the flight will end. The pilot will take into consideration the speed and direction of the flight when looking for a landing space. 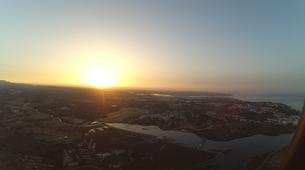 You will be advised to take your landing position as explained during the safety procedures. 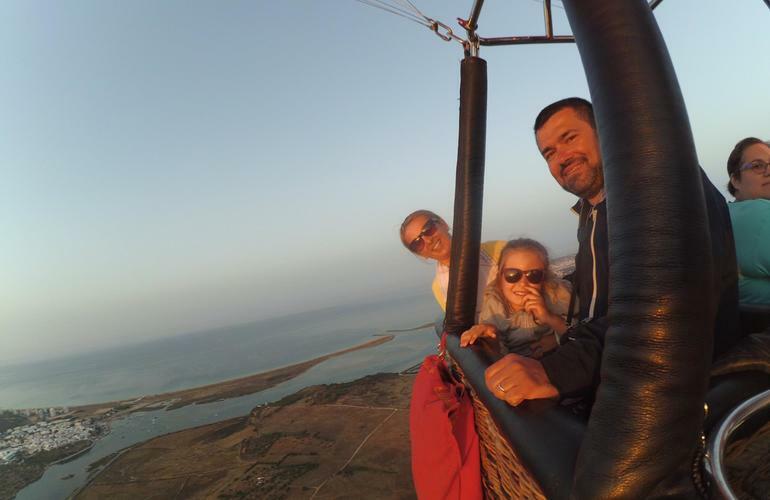 - Celebrations: In the tradition of ballooning, once the balloon is packed and removed from the landing field, the team and passengers celebrate the flight with a glass of champagne and traditional local snacks. 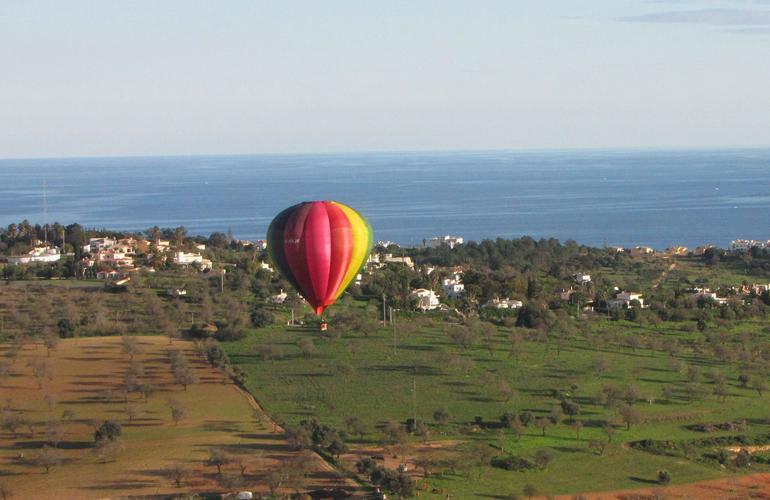 You will also receive your hot air balloon flight certificate. 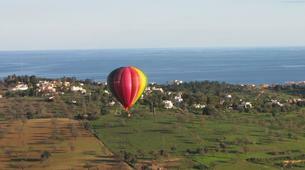 - Return: You will return to the launch field after the flight in the Algarve Balloons' off-road vehicle. The ride may take you through interesting scenic routes which may require a stop or two. 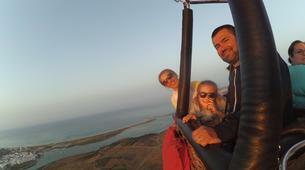 Experience a hot air balloon flights with other fellow passengers. The activity takes 3 to 5 hours, including 1 hour balloon ride. 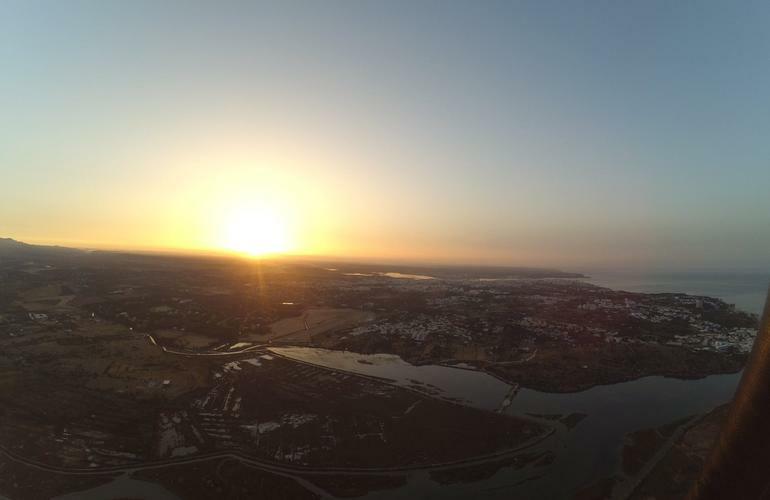 The flights take place at sunrise and are weather dependent. 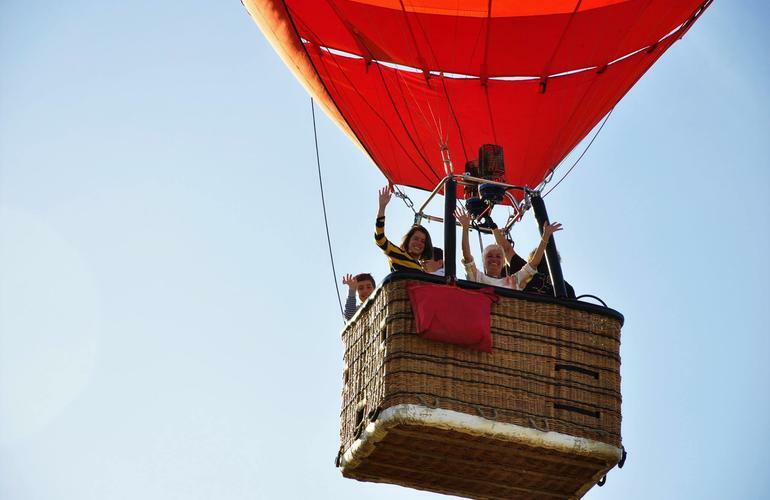 Pregnant women and people with severe heart problems cannot fly in a hot air balloon. 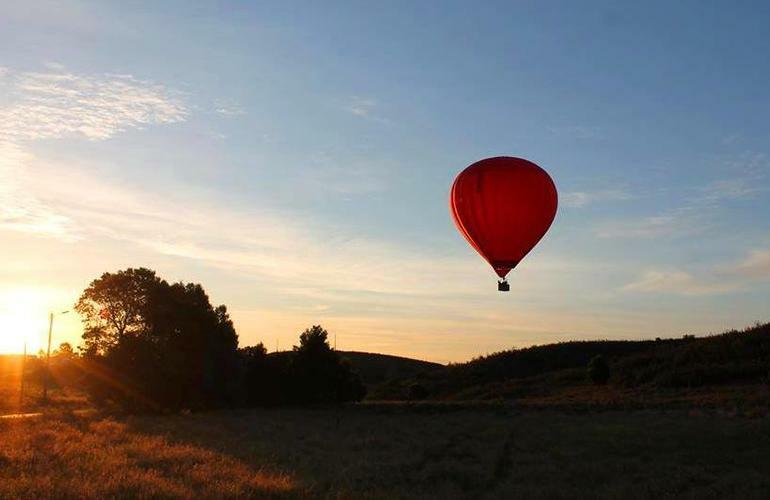 Balloon loading works on the ambient temperature and atmospheric altitude. 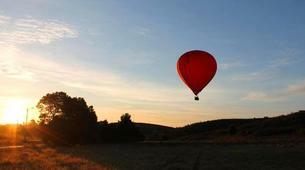 This will determine the maximum weight the balloon can take on that day. Please contact the pro after your booking is confirmed to inform them about your weight. 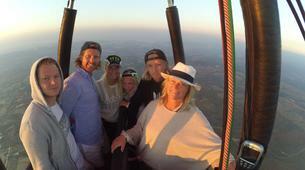 Experience a private hot air balloon flight for a unique and special adventure! 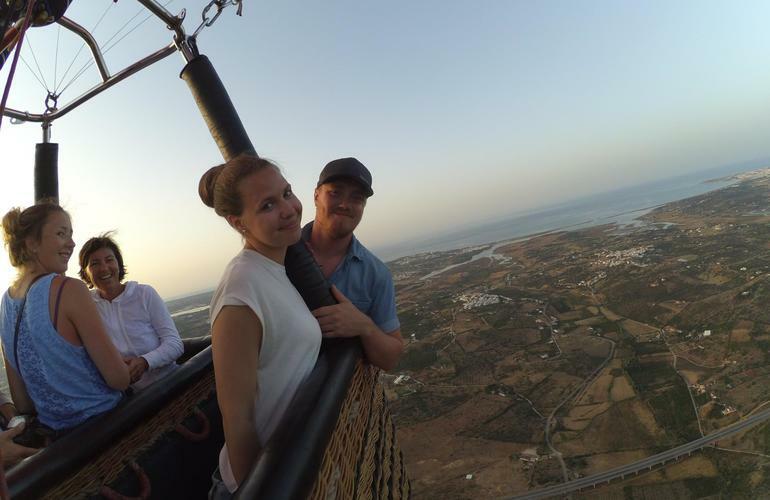 The activity takes 3 to 5 hours, including 1 hour balloon ride. 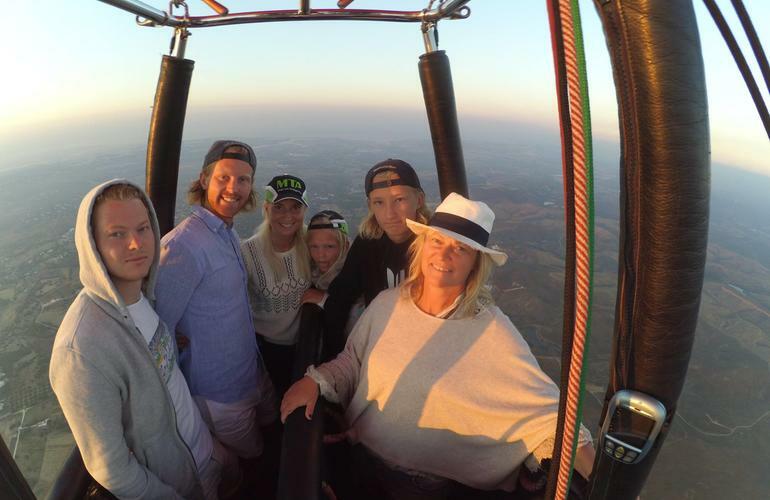 Pregnant women and people with severe heart problems cannot fly on a hot air balloon.